An IT expert explains the features and bugs of three popular classroom technologies: TVs, interactive whiteboards and projectors. 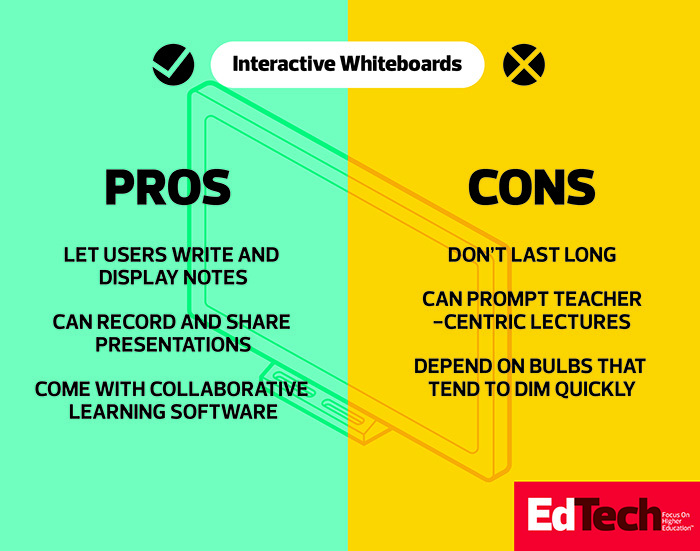 Display and collaboration tools have come a long way since the age of blackboards and chalk. These days, connected classrooms come stocked with advanced technologies that let educators and students share ideas and engage in deeper learning. During its latest K–12 webinar, Time for a Network Upgrade?, EdTech explored three such technologies, with help from expert Tim Landeck. 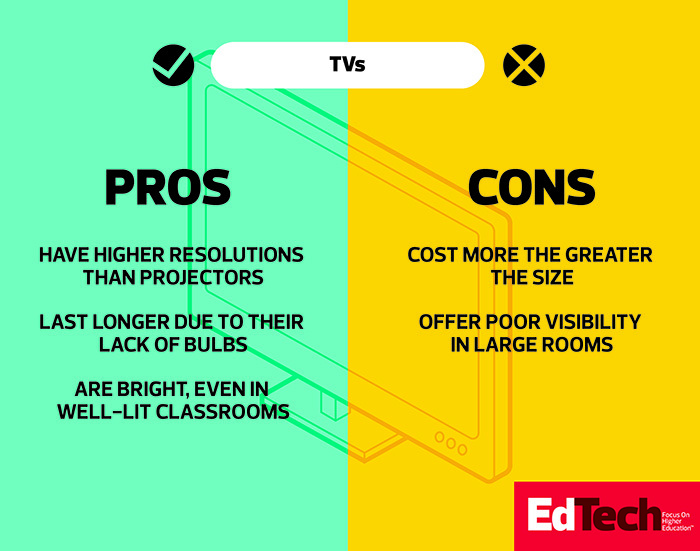 Landeck, who works as director of technology services at Pajaro Valley Unified School District, in California, described his thought process when choosing between televisions, interactive whiteboards and projector screens. Check out some of the device pros and cons Landeck identified during the prerecorded webinar, and then register for free for insights from two additional networking experts who participated in the event.